You and your friends are backpacking through the countryside and decide to stop for the night in a rustic little town called Glenmoor. It's an unassuming little hamlet surrounded by high cliffs and dense forest, and it has always been surrounded by strange rumors. The townspeople are all very guarded and tight-lipped, and the whole place seems stuck in the past. Your group doesn't intend to stay long, only to spend the night in an inn and continue with your trip. Unfortunately for you, a massive storm sweeps over the land during the night and knocks debris from the cliffs into the road, blocking your exit. Until emergency services can clear a pathway, which could take weeks, you are stuck in Glenmoor. What's worse, villagers from Glenmoor start disappearing or turning up dead in their homes. The superstitious locals are blaming a terrifying beast that is said to roam the dark woods that surround the town. Cut off from the police by the closed roads and untamed wilderness, it's up to you to fend for yourself and try to figure out who or what is responsible for the disappearances at Glenmoor. If you're interested just post a character description and I'll kick it off once we have 2-3 people. Let's have some spooky, mysterious fun! Basic Description: See current avatar for physical description. Angder is a fit but somewhat Violent person, The idea of hunting down a monster is something he is actually excited by. He is 18 years old. Note that this Angder is NOT an investigator or Demon hunter, he does not believe (At this time) in the supernatural. He is kind, and somewhat loyal, but also quite reckless and quick to anger. A few items you want to carry in your pack: Fire axe, Rope, rock climbing kit, 2 days Rations. Lighter. Hi angder, glad to have you! I'll wait until we have a couple more people before starting. Cinnamon black bear, 18 years old. He's timid, curious, not terribly confident, and prefers to be in the background. Prone to hyperactivity and can rapidly bounce from quiet and relaxed to loud and excited (and back). The three of you have been traveling for the past two weeks, with nothing but the supplies you carry on your back. You are all good friends who decided that this summer, you would backpack through the countryside together and see some of nature's wonders, while visiting some of the oldest historic towns and landmarks that you can reach and taking in the sights. Though most of your journey has been on foot, you hitch rides on buses and trains here and there, where you can. On this day, however, there has been no bus, train, taxi, or even a bicycle for the past 25 miles. All of you are worn, tired, and dusty from the long hours you have walked. The last time you passed through any kind of town was almost 8 hours ago, and it's getting close to midnight. You've almost agreed to just make some shelter under the dense trees that line the road, when you spot a fork in the road ahead. According to your map, the route you have planned requires you to take the right fork and continue on to the city of Greystone, the next major stop on your trip. However, to your dismay, you realize that Greystone is not for another 15 miles. A roadsign driven into the hard-packed earth in the middle of the two forks points to the left, and reads as follows: "Glenmoor, 1.25 miles." Now, all three of you have heard some strange rumors about Glenmoor on your travels through the countryside. Many furs have whispered to you about the strange monsters that roam the forests around Glenmoor, and about an ancient curse that haunts the area. Some have even claimed to have seen ghosts or fairies while staying in Glenmoor, or to have heard strange howling during the night. 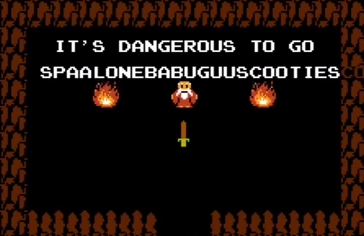 None of you had realized, until this moment, that you would be passing so close to the notorious village during your trip. The road leading to it is not clearly marked on your map. Despite the eerie rumors surrounding the town, you all decide that staying for one night can do no harm, and that you are too tired to press on toward Greystone any longer. With sore feet and drooping eyes, your group staggers down the road to Glenmoor. The trip to Glenmoor doesn't take very long, although the road is rather inhospitable. It rises to meet a soaring cliff face which seemed far in the distance earlier on. The road cuts a path right over the bare rock, the black void of an unknowably high drop yawning at you from the left, and the unyielding stone of the cliff standing rigid to your right. In poor weather, this would be a nightmare to travel, but in the balmy summer night you have little difficulty. Finally, your weary party reaches the entrance to the town. A sign reads "Welcome to historic Glenmoor!" The whole town seems to be swallowed up by the dark, twisted trees of the forest. It also has a rather jarring look to it. Stores that seem ripped from the medieval ages clash with more modern-looking buildings jammed in between them. A butcher shop down the street from you appears to have been built sometime during the 1300s, while the general store next to it bears a glowing neon sign and an automatic sliding door entrance. The city planning in Glenmoor is clearly not putting much effort into creating a consistent aesthetic. But none of you have much energy for gawking at scenery. You all notice a building off to your right with an old wooden sign that reads, "Shadowbrook Inn." It has a drawing of a speedy brook flowing through the trees painted on it. You can see yellowish light spilling out from the inn's windows, and can assume that it's currently open for business. From what you can tell, this is the only place where you'll find a good bed for the night. "Shadowbrook" Angder states. "Its like the place is trying to be as creepy as possible." Angder staggers forward, his feet hurt, and he is somewhat hungry to. "Well. May as well go in and say hello. What's the worst tha~" Angder pauses, looking over at Geoff. "Finishing that sentence is a really bad idea, isn't it." 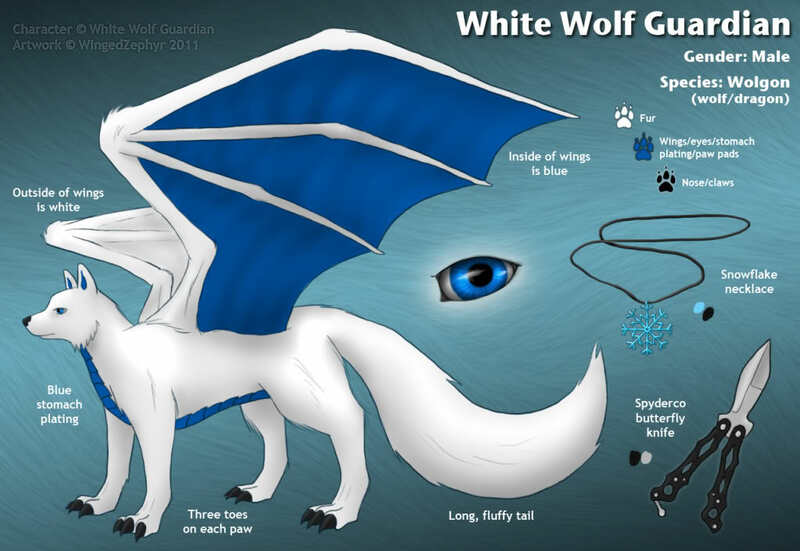 White wolf with blue armor chest plating and white furred with blue dragon wings. A particularly talkative wolgon, wears tan cargo shorts and a black short sleeved t-shirt. Butterfly knife, zippo lighter, rope, camera, notebook, 5 pencils and 4 cans of pinto beans. White looks over at his companions Angder and Geoff after Angder says the name of the town before them. "This place sure does look ominous like the stories have foresaid. I too don't have any fond ideas of staying here, but it would be nice to lay in a real bed." The group can make out the faint sounds of many voices chattering together, and a few chords of guitar music drift from the Shadowbrook Inn's entranceway. Shadows move across the light spilling out of the window. It seems to be a combined inn and tavern, with patrons milling about inside. You can't tell much else from the outside of the building. Outside, the wind starts to pick up, and light drops of rain begin to fall. Looking up, you can see storm clouds crawling across the dark night sky. Geoff, the chubby bear to the right of White, is displaying more exhaustion than the others, but is keeping up well enough. "Yeah," he replies to White with a rasp, shifting the pack straps on his shoulders, "I'll take the risk, heh..."
"I just want to be able to sit down comfortably" Angder moves over to the door. and opens it, before stumbling inside. He glances around, looking for somewhere to sit. As Angder stumbles inside the inn, he is greeted by a welcome sight. The room opens up into a cozy tavern furnished mostly with oak tables and benches. There are several slightly tipsy furs milling around the tavern, holding mugs of dark brown ale and singing along to some kind of folk song. In the middle of the room, a scruffy-looking black labrador dressed in tattered rags is playing an old acoustic guitar. He sings in a melodious and playful tone. His guitar case is open on the table next to him, and folks toss a coin or two into it as they pass. At the bar counter against the tavern area's back wall, a burly female grizzly bear pours drinks and keeps a wary eye on the patrons around her. Off to Angder's right, he can see a counter that appears to be for purchasing a room at the Inn, and a staircase that presumably leads up to the bedrooms. Behind the counter sits an elderly otter with a grey-streaked muzzle, dressed in an old-fashioned tweed suit vest. He is seated, and his head droops forward onto his chest. Angder hears faint snoring sounds issuing from the otter. It appears that the old fur has fallen asleep at his post. Nobody has noticed Angder's entrance yet, as they are too distracted by the musical performance in the tavern.